There are many factors that can affect the enjoyment of a cup of tea. Where you are, who you are with, what your mood and expectations are can all play a part in the level of satisfaction. However, at the center of everything is the tea itself and how well it has been prepared. Maybe it is impossible to ever achieve perfection but excellence is available to anyone prepared to devote the time and energy and who is willing to experiment. Below we refer to western and eastern methods of making tea. This is mainly for ease of reference rather than a hard and fast set of cultural rules. For the eastern method we imagine tea made in a small pot for sharing with family or friends in small cups over many infusions. The western method envisages making tea to drink in a larger cup or mug; perhaps to sip while you work or relax. There is no right or wrong way to enjoy tea – just whatever works best for you! Tea – explore the world and discover the incredible range of loose leaf teas that are available. As with most products, there is a broad range of prices and qualities and price does not always equal quality. Many vendors source teas only from large wholesale importers and miss out on the more unique and small batch products that are available. 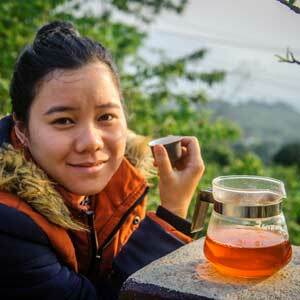 If you can, try to find reliable vendors that specialize in teas from particular countries or areas. Always be curious, willing to try something new and to ensure that your tea is from a responsible and sustainable source. Water – find the best practically available water that you can. In some places this can be straight from the tap or faucet (preferably filtered). If you prefer to use bottled water then spring water usually produces better results than mineral water (too hard/ mineral rich) or distilled water (too soft – making a flat tasting tea). Brewing Vessel – the most suitable materials for your brewing vessel (e.g. tea pot or gaiwan) are porcelain, ceramic or glass – something that will retain heat well and not alter the taste of the tea. Ideally, you need as much tea and water to be combined as possible during brewing; enough room for the leaves to unfurl/ expand; and an ability to separate leaves from the tea completely once brewing is complete. For convenience it is possible to make tea in a mug/ cup with a removable infuser provided that the infuser is large enough. There are three key variables in tea making: the amount of tea to water ratio; the temperature of the water used; and the time allowed for brewing. It is important to take care about these but no need to be obsessive about it. The table below can be used as a guide when making tea, but as we all have different tastes and preferences feel free to vary to suit your needs. Before starting it is recommended that all your pots, cups and utensils are clean and warm and that you give the tea leaves a quick rinse with hot water before brewing. Amount of Tea – Loose leaf tea comes in all shapes and sizes making weight the only true guide – a teaspoon of oolong tea will be very different from a teaspoon of white tea! Over time it is possible to judge how much of any particular tea provides the sufficient weight. 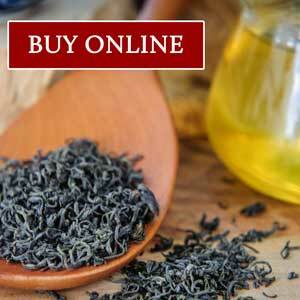 for black tea – when water reaches a rolling boil. If you have gone too far, don’t worry, just let the water stand for a few minutes to cool. However, re-boiling the same water many times is not recommended as it depletes the oxygen content. Time – this is self-explanatory and the easiest way to vary the strength of your tea. With good leaves being able to provide multiple infusions it may be necessary to increase the brew time as you progress to maintain consistency. Follow these simple steps with some care and you should make the most of your tea every time. Happy Brewing!